Please be aware that the content of this thread may be outdated and no longer applicable. As you know, when we opened up the initial Beta signups, we were overwhelmed with the demand, and in a few days we received well over 80,000 registrations. Since then, we’ve steadily sent out keys to people who signed up. In the run up to the holiday season, we’ve decided to open up the Beta to everyone who signed up for our initial Beta test. Between today and December 15, 2014, we will be sending invites to everyone in the initial batch of beta signups. That equates to about 65,000 people, each of whom will get 2 keys. Click here to skip to the FAQ. Since DST came out, we’ve been hammering on technical improvements that make the game smooth for everyone. We’ve been working on rubber banding, network performance, bugs, balance, administrative tools for hosts, full mod support, and we’ve even been adding new DST-specific content. In addition to these things, we knew that we would also need larger scale content to really support the new worlds that are being created. Specifically, worlds are lasting not just months but years, and those who are behind the scenes are unhappy with how easy-going the inhabitants have become. We’re thus working on a brand new, free content pack called “Through the Ages”, chock full of new content designed specifically for multiplayer. This expansion is free for all players, and will be available in the Spring of 2015. As part of the Beta signup process, we’ve found that there are a lot of people who really want into the Beta, and even while giving out a hundreds of keys every day, it became clear to us that we needed a release valve for the demand. Specifically, people were starting to buy keys in back channels, with varying success, and it became clear we needed to provide a clear, official channel for access. With that in mind, we’re announcing the Frontier Pack. Once we finish delivering the 80,000 sets of beta keys from our early signups, we will be releasing the Frontier Pack. Currently, we aim for that to be in mid-December, but we’ll need to play it by ear to make sure our game is in a solid state. We hope that everyone feels this is a fair way to get into the Beta, introduce the game to new players, and yes, to help the ongoing development of the game. In order for us to deliver Through the Ages, we will be focusing most of our ongoing updates on technical features rather than new content (though we reserve the right to throw some bonus extras once in a while). Thus, you will continue to see mod improvements, server updates, Reign of Giants integration, and more. I hope this helps clear up what’s currently happening with DST! Let me know your comments / questions and we’ll be happy to discuss it with you as always. What is Don't Starve Together? How do I get Don't Starve Together? Do I have to buy Frontier Pack to get Don't Starve Together? Will you still be giving out more DST keys throughout the Beta? I already own Don’t Starve on Steam. How does the Frontier pack work for me? I do not own Don’t Starve on Steam. How does the Frontier pack work for me? Is Don't Starve Together available to non-Steam users? Didn't you say DST was an update to DS? What’s the deal? Don't Starve Together is a stand-alone multiplayer expansion to Don't Starve. This is a separate game from Don’t Starve, and you are not required to own one to play the other. Players who currently own Don't Starve on Steam will receive Don't Starve Together for free on June 3, 2015. If you would like to get into the Early-Access Beta before that, you can do so by purchasing the Frontier Pack. Do I have to buy Frontier Pack to get Don’t Starve Together? Nope! If you own Don’t Starve on Steam today, you can simply wait until June 3rd, 2015; you’ll get it for free at that time. Frontier pack is only for those who wish to join Early-Access before June 3rd. Will you still be giving out more DST keys throughout Beta? Yes, in addition to the Frontier Pack, we will be giving out more Beta keys to help more people get into DST. The Frontier Pack is just one more way to allow players to get into the Beta. Since we launched the Closed Beta a couple months ago, we’ve consistently been asked for an official channel to get into the Beta. We created the Frontier Pack to create this official channel, without opening the floodgates completely. $4.99 and includes immediate access to Don't Starve Together, as well as another copy to give to your friend as a tradeable item in your Steam Inventory. If you do not own Don’t Starve on Steam, the Frontier pack is $19.99 and includes 1 copy of Don’t Starve and Don’t Starve Together for yourself and a copy of Don’t Starve Together for a friend. The friend copy of Don’t Starve Together comes as a tradeable item in your Steam Inventory. If you purchased the game on gog.com, contact support and we will help you out. Don't Starve Together uses a lot of the Steam API's to function, hence, at this time, Don't Starve Together is only available on Steam. Yes, originally we planned Don't Starve Together to be a simple update to Don't Starve. However, as we continued to develop it, we realized it needed to be a separate game altogether because too many features were diverging. Instead of raising the price of vanilla Don't Starve, we can now keep the same pricing of Don't Starve, and create a bundle for Don't Starve and Don't Starve Together, giving all players more choice. Starting June 3rd, 2015, the price for Don’t Starve Together will be $14.99, or $19.99 for both Don’t Starve and Don’t Starve Together. To wrap up, instead of simply updating Don't Starve, we have made it a stand-alone expansion, and we are gifting the game to all Don't Starve players on Steam - June 3rd, 2015. For a fuller explanation, see our this post. Not in a bad way, just surprise! I own a copy of the DST Beta, I'm waiting on my key. Will I need to buy the Frontier Pack as well? Nope! If you're already in the DST Beta already, you don't need to buy Frontier Pack since you already have access. What do you mean you own a copy of the DST Beta, do you mean you own a copy of the Single-Player Don't Starve, and have signed up for a beta key? 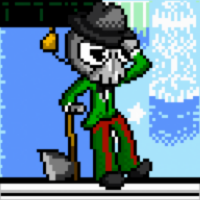 The dapper is intensifying, I can feel it. Based on that, I'm pretty sure you don't. The Frontier Pack is just a copy of DS if you don't have it, + 2 beta keys, basically. Through the Ages sounds like it's separate. Yes! Riding the Beefalo! People remember my post suggesting that right?....RIGHT? Gah I'm so excited for everything to come! This whole time I was thinking of bicycles but beefalo riding is waaay better! this. Great idea's and I am so excited for the content later on! You guys are really amazing! 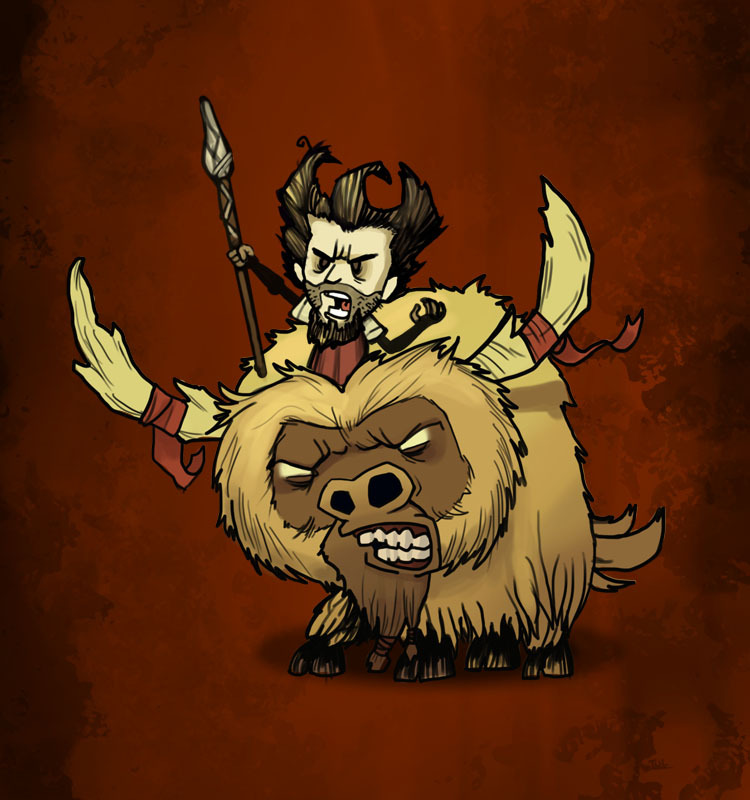 Sssooooooooo excited to be able to ride Beefalo. Can't wait to see what else you guys have been working on! whoa whoa slavery to animals? PETA WILL NOT STAND FOR THIS! unless you let us ride pigmen, bunnymen, and koalephants. Is there any idea when Don't starve together is going to have an official release though? I mean with out the beta keys? Keep up the good work klei!!! Will it be coming to mac? When it can. For now it's most likely on Mark's Big List. This is wonderful news, awesome work, Klei, can't wait for DST and for "Through the Ages", hope we get more info on both, later!